The garment sector provides most employment opportunities for women in Bangladesh, and is a way — perhaps the only way — for rural, uneducated women to enter the formal workforce. In 2016, 80% of the garment industry’s employees are women. But garment workers are underpaid and receive little recognition from their families and society. And industrial accidents and labour abuses – such as the 2013 Rana Plaza factory collapse – remain etched on the collective memory of those employed in the industry. 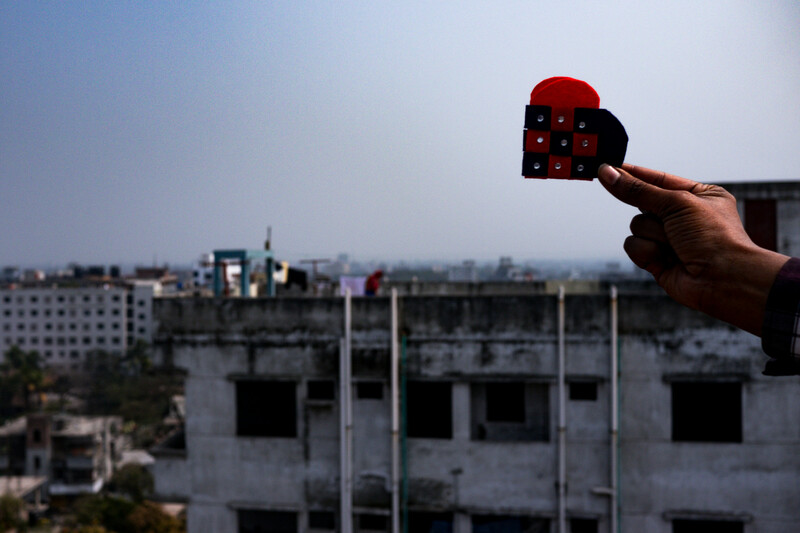 24th April 2013 is a memorable date in Bangladesh’s history, the collapse of the Rana Plaza factories, where over a thousand garment workers lost their lives. For many, a job in the garment industry holds the promise of a better life – the mostly female industry has democratised employment in the country; it also produces 80% of the country’s exports. But the Rana Plaza collapse, producing some of the most haunting photographs of 2013, shed light on the appalling conditions in which most factory workers still work. In 2016, they are the cheapest labour in the world. Four garment workers learn to take a photograph during the first day of our workshops at SIMCO factory in Dhaka. In 2015 and 2015, we partnered with two garment factories in a place where organisations rarely open their doors; Earl Fashion located in Gazipur, and SIMCO located in Dhaka. 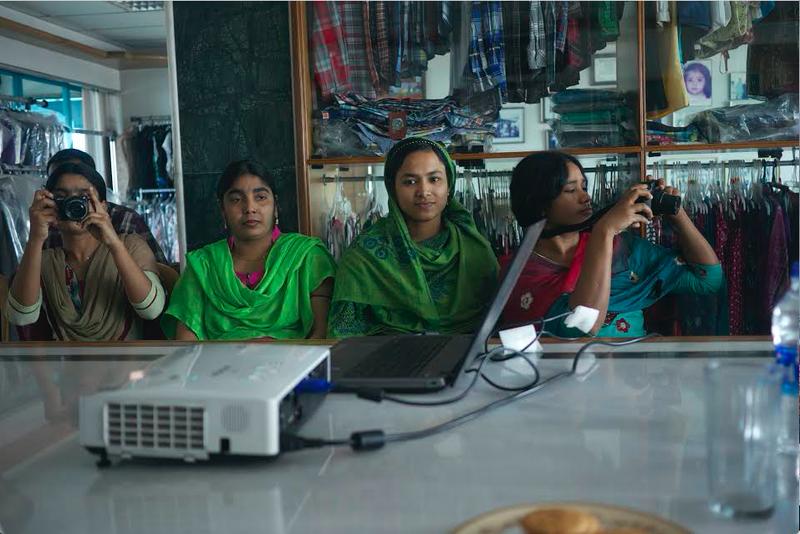 Our team in Bangladesh provided photography training to thirty female workers, aiming to raise awareness of their labour conditions, as well as build their confidence, and change the way consumers identify with the clothes they wear. 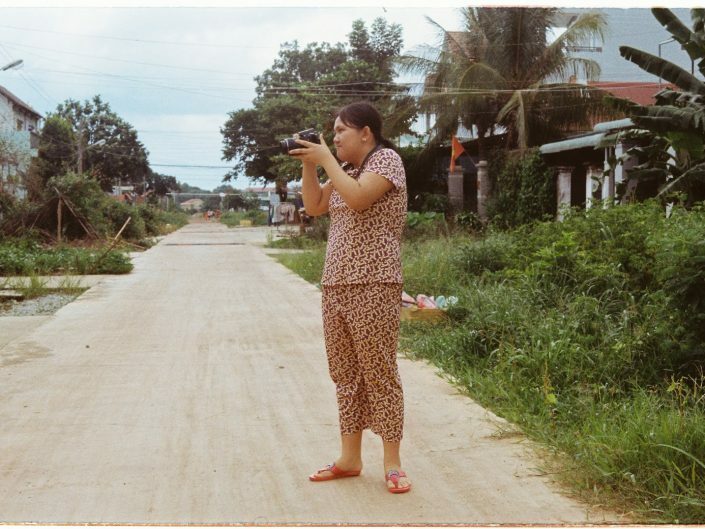 On an individual level, photography as a therapy provided a way for the women to connect with others at the factory, and share their inspirations while taking time away from their exhausting jobs. It also improved their communication and creative skills, helping their job mobility in the long term. The workers’ images, intimate snapshots of the factory, and of the clothes they make, also documented their realities to consumers on the other end of the supply chain, who rarely think about the workers behind their clothes. Their stories invited consumers to build empathy, and challenge conventional tropes of oppression by painting in-depth portraits of women, who, after all, aren’t just workers. 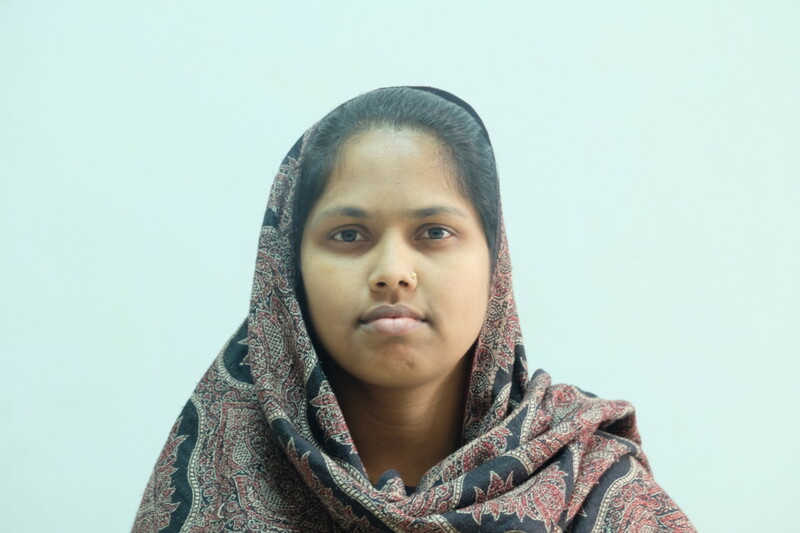 35 year-old Asma Khatun is one of the garment workers we work with in Gazipur. Originally from Mymensingh, a city of central of Bangladesh, she moved to Gazipur to work as an operator. Asma’s favourite colour is white, a symbolic colour in Bangladesh, as traditionally one will be covered in white items after one’s death. When Asma wears a white dress, she feels at peace, and it’s this feeling she seeks to capture through photography. 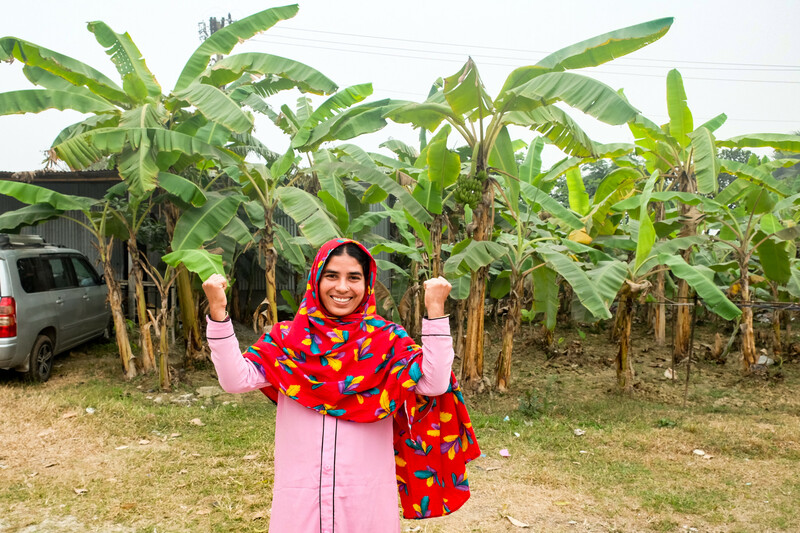 Outside of the factory, Asma’s favourite hobby is sleeping, a luxury for many garment workers. In the future, she dreams about sending her children to school. Since our workshops we have shared the workers’ stories with an international stage, through social media awareness, conferences, and exhibitions, as well as through our online photography platform. 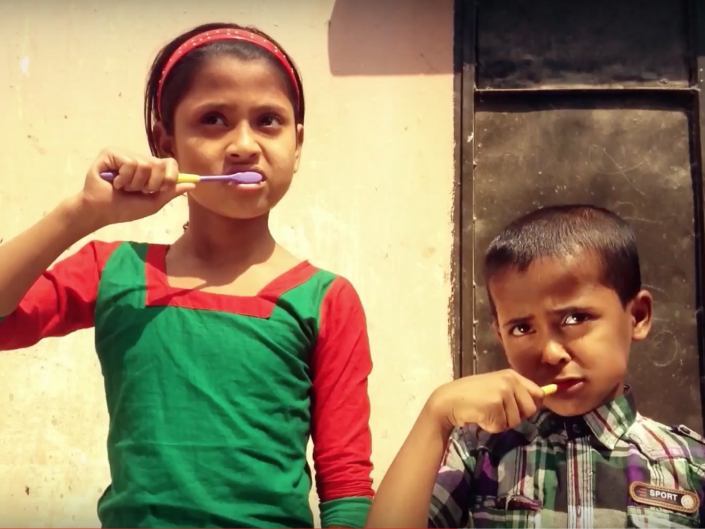 In 2014, we partnered with Fashion Revolution Bangladesh to shed light on the women’s stories. Our joint work was featured in Dhaka Tribune, which is published nation-wide in Bangladesh. In May 2016 for International Labour Day, we also ran a social media awareness campaign with the Wonder Foundation in London, sharing the women’s stories to promote higher labour standards in the factories of Bangladesh. 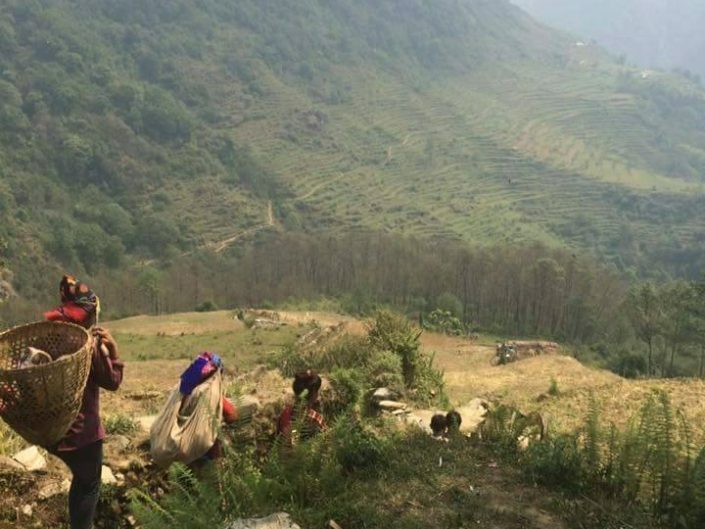 Finally, in celebration of the International Women’s Day 2016, our partner DFYnorm, an ethical womenswear fashion brand, launched a new fashion line to fundraise for our projects with the garment workers. In London, our exhibition taking place at Richmix in April 2016 unveiled the world of the garment workers to the local community in Tower Hamlets. 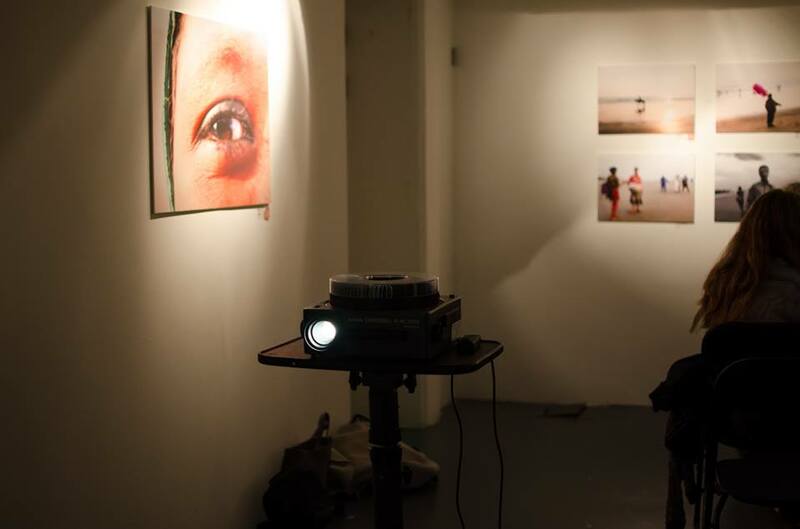 The photographs were displayed onto an old projector, visitors could click through to discover the women’s lives, and they also used our partner Blippars’ augmented reality app to find out about the women’s lives and aspirations outside the factory. 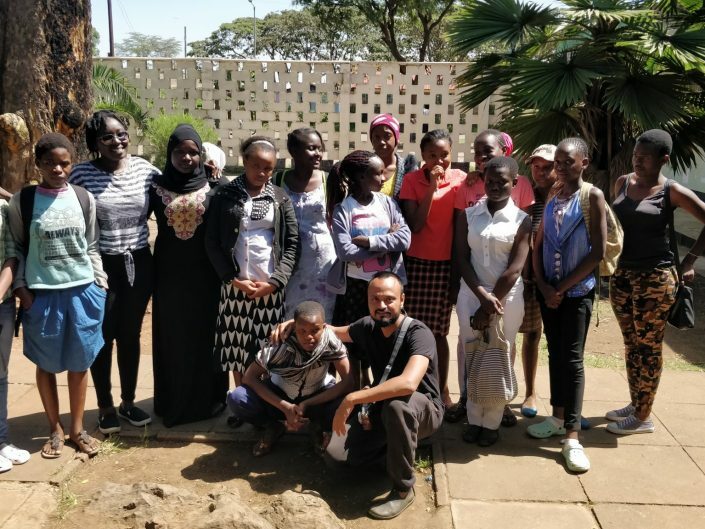 Our participants found photography to be a great emotional outlet, and we were delighted to receive funding from Channel 4 to run another set of training programmes with the women in 2017 – this time using video-journalism training to help the women document their stories. Visit the programme gallery below and purchase the workers’ photography on our online gallery.